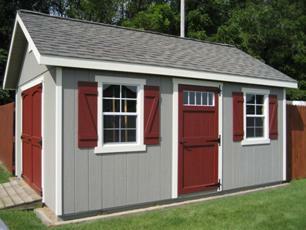 First-time shed buyers, and even a few veterans, often underestimate the number of options at their disposal when shed shopping with us. 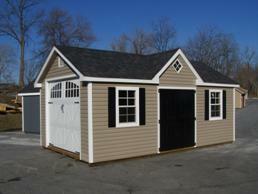 If you can wait a week or two, consider customizing your shed so you can get exactly what you want. 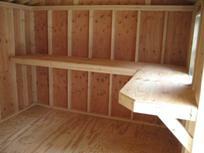 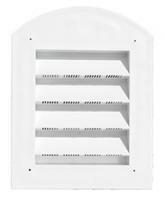 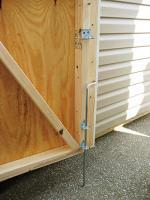 If you haven’t already, make sure to have read Things To Know Before You Buy Any Storage Structure. 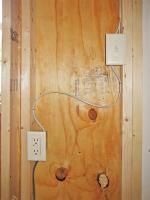 If you have that under your belt, understanding the options is much easier. 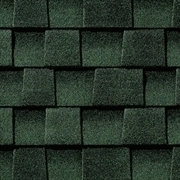 Assuming you know what you’ll be using your shed for, and you know what kind of style you like, you can begin selecting the colors. 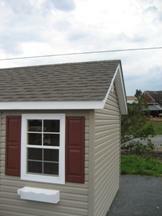 We’ve broken down color choices by the two types of sheds we sell — wooden sheds and vinyl sheds. 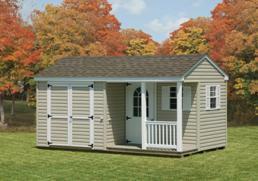 From the selections below, decide which color you want us to make your shed in. 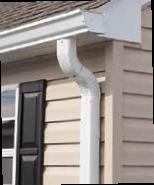 We use quality Finneran & Haley “Storm Plate” exterior paint. 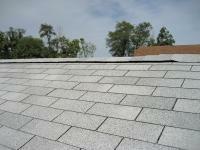 Repainting is recommended every 5 to 7 years. 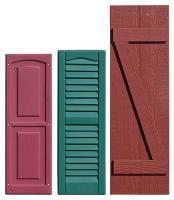 All vinyl colors are available as paint colors. 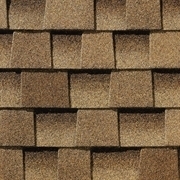 Select a shingle color that coordinates with your shed's exterior and your home's shingles, if you wish. 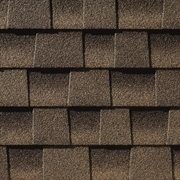 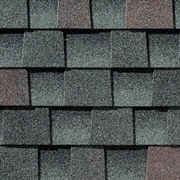 We’ve listed in the shingle choices you have in 2 categories: our standard shingles and our Architectural Shingles. 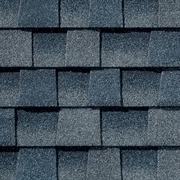 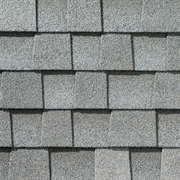 Standard Shingles have a flat appearance. 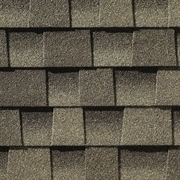 Although still sturdy (our Standard Shingles come with a 20 year guarantee) the Architectural Shingles are even more reliable. 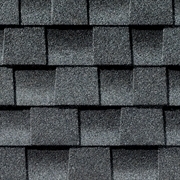 Our Architectural Shingles are thicker than the standard shingles providing you even more insurance against roof leaks. 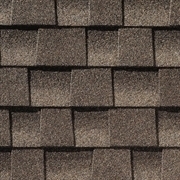 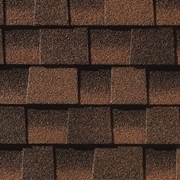 Our Architectural Shingles come with a 30 year guarantee. 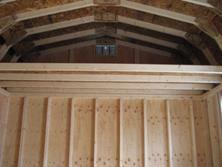 We’ve tried to incorporate as many options into our standard sheds as we could to please the most people. 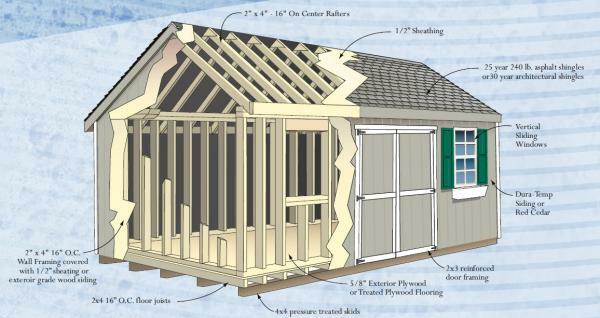 But because we’ve seen folks use our structures for so many different uses, we’ve come up with a long list of options –some are free- that you should consider for your shed. 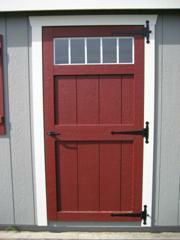 If you wanted an upgraded and unique look to your shed, our steel doors let you choose between 9-11 or 15 individual “panes” of glass also in the standard square or with arched windows. 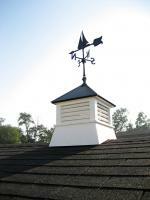 Is part of your landscape or curb appeal, cupolas dress up a shed to make it look like a real classic outbuilding. 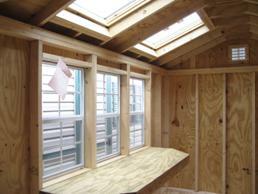 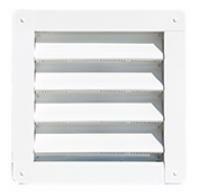 Popular with upscale homes, the extra windows provide more natural light.